Diesel Injector Nozzle Extractor Set CDI engines 2.1 and 2.2L. Mercedes Benz. 903G19 -FORCE. 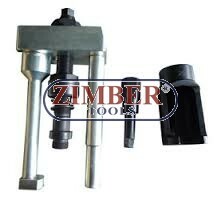 Diesel Injector Nozzle Extractor Set CDI engines 2.1 and 2.2L. Mercedes Benz. 903G19 -FORCE. Description: Extraction of injectors without dismantling the engine. Extraction of Bosch injectors in CDI engines 2.1 and 2.2L. Benz for Vito Sprinter, Viano, C and E Class, CLC and CLK. 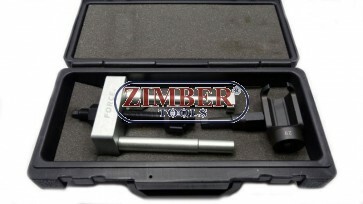 Injector Removal Tool Set Mercedes CDI Engines OM611,612, 613 - ZR-36IP - ZIMBER TOOLS. 9pcs Common Rail Injectors Extractor Set (ZT-04501) - SMANN TOOLS. 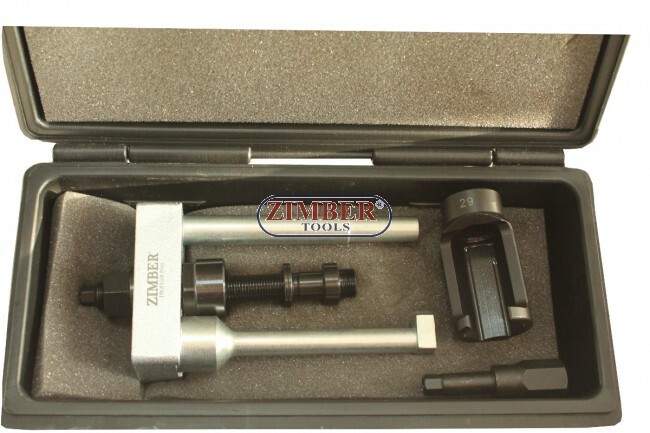 Universal Injector Removal Tool Kit, ZR-36UI - ZIMBER TOOLS. Nozzle Extractor Set - Peugeot, Citroen и PSA 2.0 JTD Fiat, Lancia - ZT-05191 - SMANN TOOLS. Injector Puller for Mercedes CDI Engines - ZT-04A3068 - SMANN TOOLS.